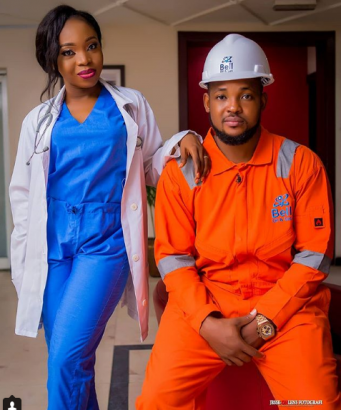 So the prewedding photos of an engineer and his beautiful doctor fiancee have surfaced online. Guess what? 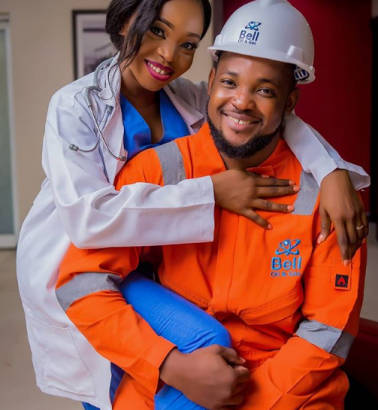 the photos have left Nigerians commenting. According to a report, the bride-to-be identified as Calista is a doctor while the groom-to-be identified as James, is an engineer. 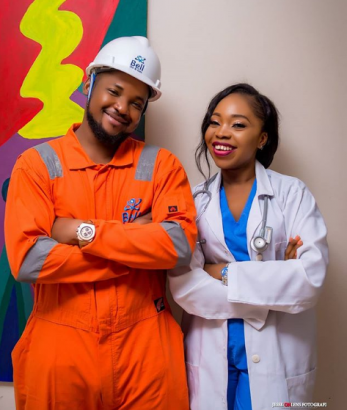 The couple left many people on social media in awe after they released their career-themed photoshoot.